Those who have made the switch to the new AdWords interface may have noticed they can now add notes to campaign and ad group-level graphs. If you are yet to make the switch, or see the option, it is revealed when hovering over a point on the graph, as seen below. 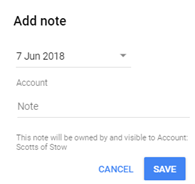 Notes offer a centralised place to document any important changes and, through doing so, allow you to build a comprehensive picture of your account over time. 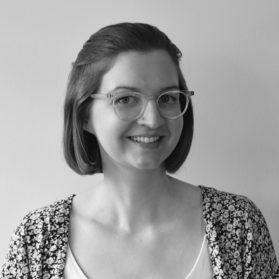 Perhaps more important, however, is the much needed respite they offer to those who have grown tired of rifling through external documents, emails, or the change history for the date of a change or perhaps a promotion; wholly unwelcome tasks that I will certainly be glad to see the back of. In a bid to improve landing-page times, and mobile web experiences, Google will, from the end of October this year, require parallel tracking on all accounts. 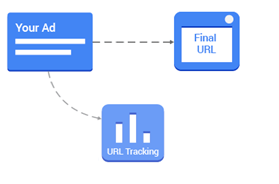 Parallel tracking seeks to overcome the problem of tracking codes slowing down landing pages, by essentially splitting the landing page and the tracking. Users can then be sent straight to the landing page, whilst the tracking is sent to an ad click measurement server. This stops users waiting for any redirects to load. While parallel tracking is currently optional, early adoption could allow you to speed up your site’s load time, setting you aside from those who choose not to make the switch. The importance of this is furthered by the fact that from the end of this month, mobile speed will start being factored into your quality score. As the number of people who use music streaming services continues to grow, it is only to be expected that so too will the ways for advertisers to reach them. The latest platform to support the programmatic buying of audio ads is DoubleClick Bid Manager, whose advertisers can now reach audiences on Google Play Music, Spotify, Soundcloud and TuneIn. Developments like these offer an exciting opportunity for advertisers to begin building a picture of how to engage with their audience through audio ads. The challenge going forward, and one that will only be compounded as more exchanges begin to offer audio ads and more advertisers begin to experiment with them, will be to engage with users in a relevant, non-intrusive way. As such, early insights will be a valuable way to stay ahead of the competition. Google recently launched into beta an AdWords add-on for Google sheets, allowing users to create reports that can be run from, and downloaded to, a Google sheet – similar to the Google Analytics add-on. This allows users to create custom reports that are easy to update and can be easily shared, without writing scripts or investing in third-party software. Unfortunately, the add-on is still lacking a few reports, such as shopping, and, unlike the Analytics add-on, a script, or many third-party solutions, does not allow you to schedule your reports. Although it is not currently possible to automate every aspect of reporting through the add-on, it is certainly a step in the right direction and will be a useful tool once the other reports and a scheduling feature have been added.